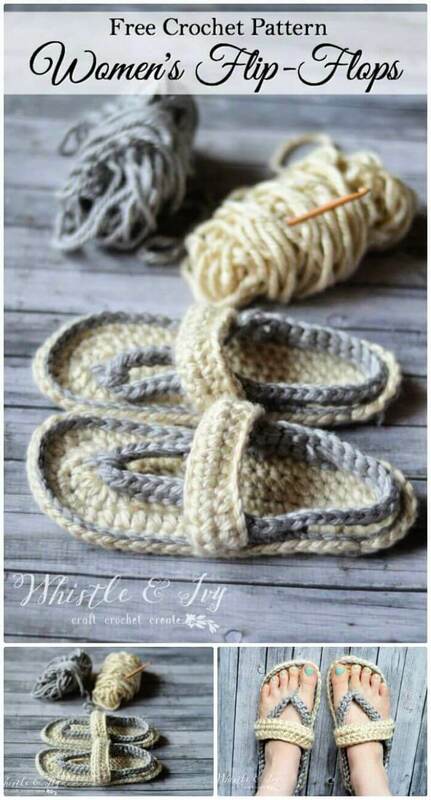 Its always a good idea to keep your feet extra ordinary warm in winters with soft flip flops or shoes made with crochet. 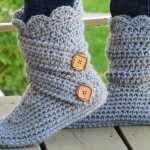 Here you will get to know 13 Crochet Shoes / Slippers / Flip Flop Cutest Ideas to make diy crochet flip flop and shoes in very less expense and time. 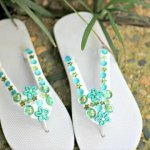 First one that we have here is a totally woman idea of a flip flop made with your favorite color of crochet and done simply with just the basic crochet stitches. 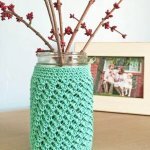 You can easily learn the patterns and stitches form here and grab your yarn to start your project right away. 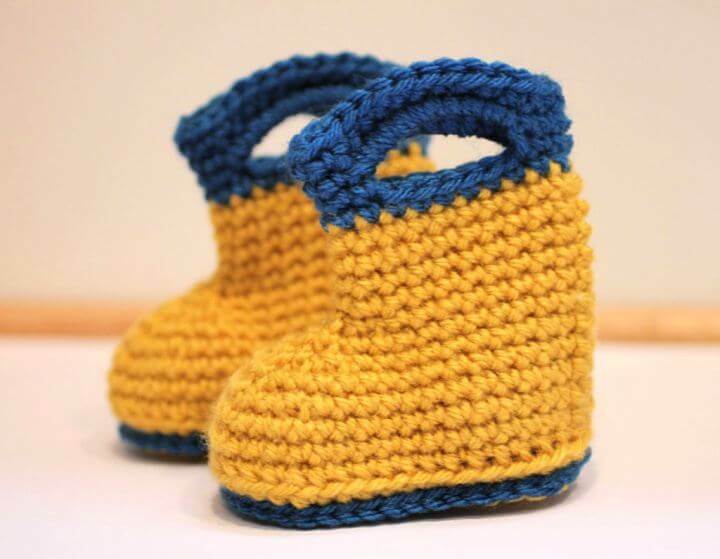 The next one that we have here are crochet shoes but with a slight twist ,these you have can make with a rubber bottom as you can see over here. 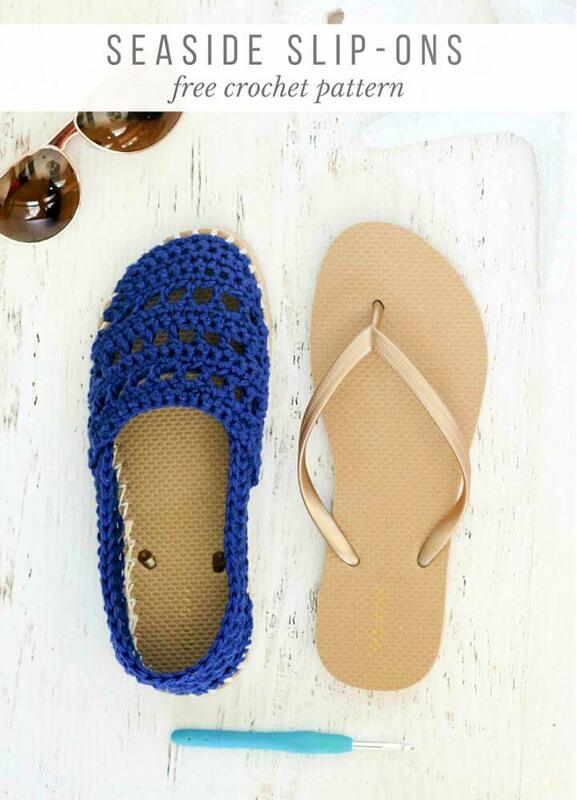 this rubber sole will give the shoe a nice grip and control over the floor and the upper crochet part is definitely unique and stylish to wear at any informal occasion with your informal outfits. 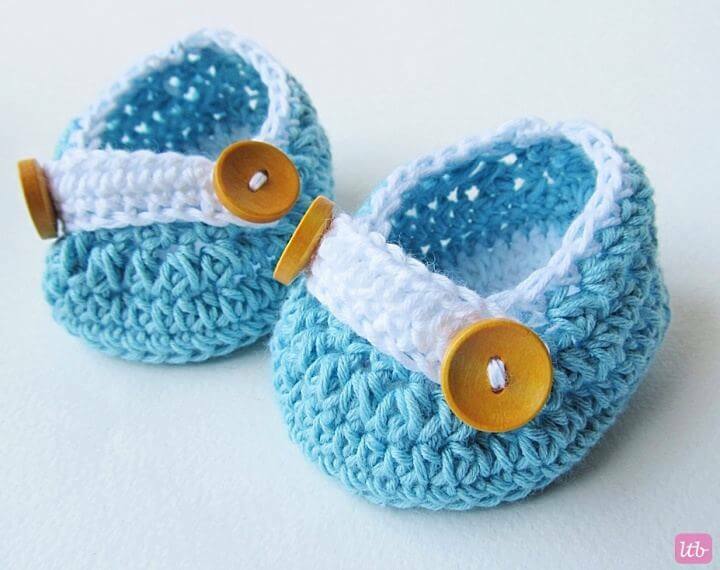 Also we have various other flip flop and shoe ideas made with crochet not only for adults but also you’re your little one. 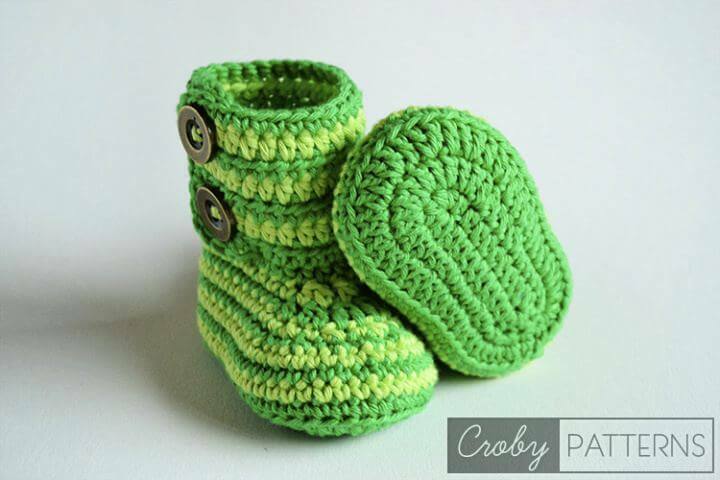 This adorable zebra booties is surely a very nice idea to try real soon before the season ends. 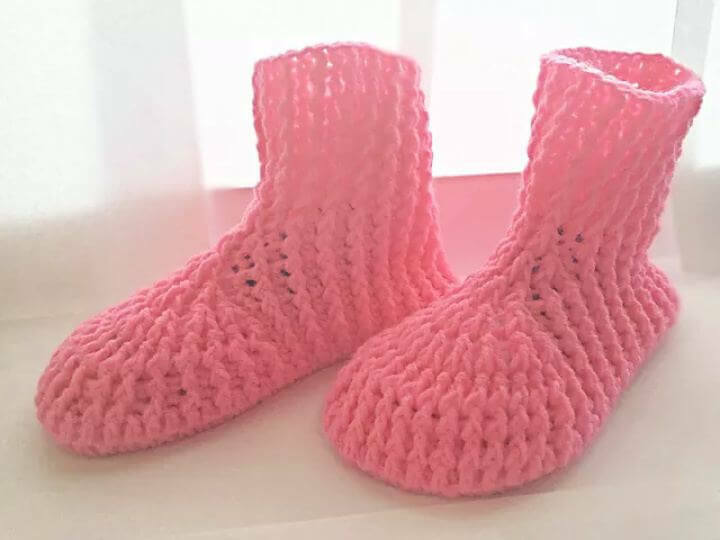 You can make many such baby booties in different themes and colors that attracts the little angels and they can enjoy wearing them. 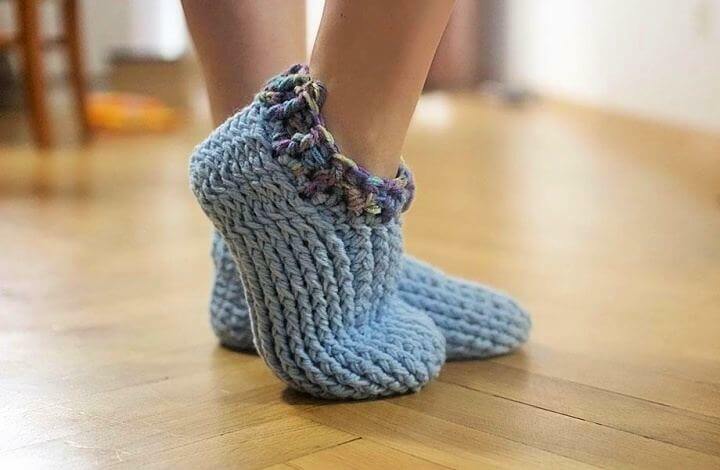 crochet is definitely something perfect to wear inside the house also so try making some of the bed socks kind of crochet footwear for yourself that can make your mornings more comfy and relaxed. 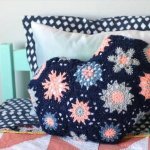 Grab some of the basics of these projects and enjoy doing this. 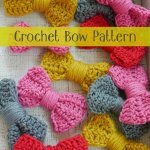 Crochet yarns are available in variety of colors and fabric that ranges from very soft to tough ones. 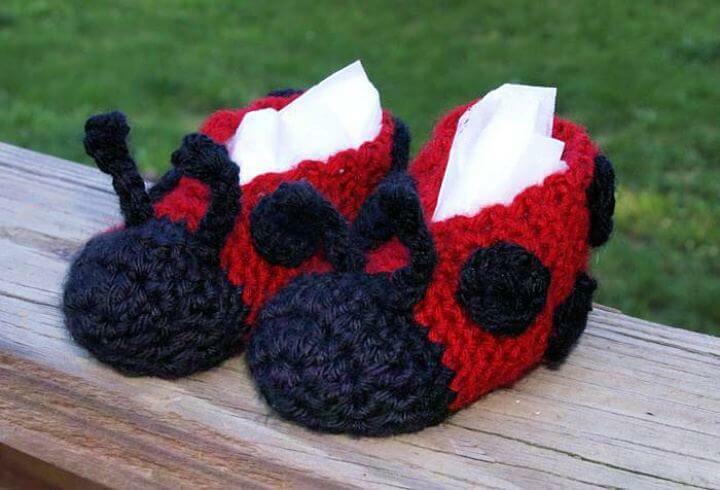 Share these amazing and beautiful idea with others too so that they can also make their winters more exciting and fun. 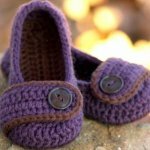 All the projects are provided with the links of tutorials along with them.